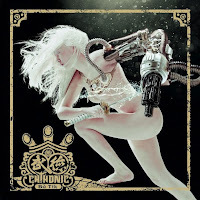 THE METAL ADVISOR: New Chthonic Track: "Next Republic"
After an impressive trilogy--Seediq Bale, Mirror of Retribution, and Takasago Army--Chthonic return for yet another full-length, Bú-Tik, and wet collective taste-buds with a teaser called "Next Republic." Excitement runs rampant for this record because it seems to be a logical follow-up to Takasago Army, which was good but could have used work. I absolutely adore the folkier, melodic death metal-like elements floating around "Next Republic." Chthonic's black metal era is clearly over, but that doesn't mean they can't churn out a vicious mess of music.